Subir is a chartered accountant with more than 30 years of experience in India. He was the CEO of B&A Group Associated Ltd., a large Tea production and brokerage and packaging company there before starting a consulting business in the area of sustainable energy. He is an expert on risk analysis and has been involved in financial modeling, raising equity, syndicating loans, facilitating mergers and acquisitions and training entrepreneurs. 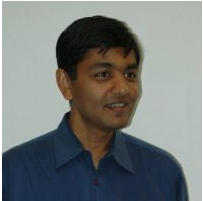 Subir sits on the boards of directors for Allbank Finance Ltd., Tide Water Oil Co. Ltd. and India Initiatives invVEST. He is an adviser to Andrew Yule & Co. Ltd. He is a member of the Institute of Chartered Accountants of India and an alumnus of St. Xavier’s College. 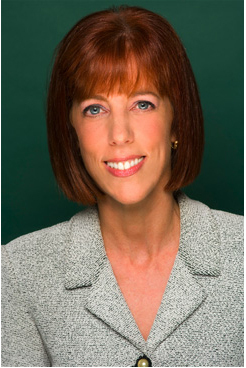 Mary has been consulting in organizational behavior and effectiveness, executive and leadership coaching and Lean/Six Sigma change management for the past 25 years and is the currently president of Organizational Behavior Strategies. Previously, she worked in the field of telecommunications as a consultant in product development and marketing. She earned an executive coaching certification from Columbia University and is a certified Myers-Briggs Personality Type Indicator trainer and William Bridges' Leading Organizational Change trainer. Mary has an MA in organizational psychology from Columbia University and a BA in computer science from Queens College, the City University of New York. Ashit has more than 20 years of experience in jump-starting and managing cross-functional teams of managers, architects, software developers, quality-assurance engineers, database administrators, IT engineers and support engineers. He also has more than 10 years of experience managing offshore development teams. He currently leads engineering and product development efforts for Kaviza – a Citrix Systems company. Prior to that, he worked at companies of all sizes, including Sun Microsystems, Tavant Technologies and SpikeSource. He holds an MS in computer science from the University of Iowa, an MBA from University of California, Berkeley, and a BS in computer science from the Indian Institute of Technology. Anneke is the CEO and founder of Reality Works Group LLC, formerly Phone Works, a sales strategy and implementation consultancy. She helps businesses build and restructure sales teams to achieve predictable, measurable and sustainable sales growth using Sales 2.0 principles. Anneke has more than 30 years of sales experience and was the 12th employee at Oracle, where she designed Oracle Direct's revolutionary inside sales operation. She is the co-author of Sales 2.0: Improve Business Results Using Innovative Sales Practices and Technology. Anneke holds a BA in human biology from Stanford University. Peter holds the Richard M. Ross chair in management and is the chair of the Department of Management Sciences at Fisher College at the Ohio State University. He frequently participates in executive-education programs, including developing several successful certification programs in Lean management. He is the first president of the Lean Education Academic Network (LEAN), a global community of university educators dedicated to teaching systems thinking in universities. He has a DBA in operations management from Boston University, and an MSBA in urban and regional management and a BBA in economics from the University of Massachusetts.